Ok, I know these are not the real authentic calzones you are expecting. They are more like extra extra extra large pan-fried Asian dumplings. 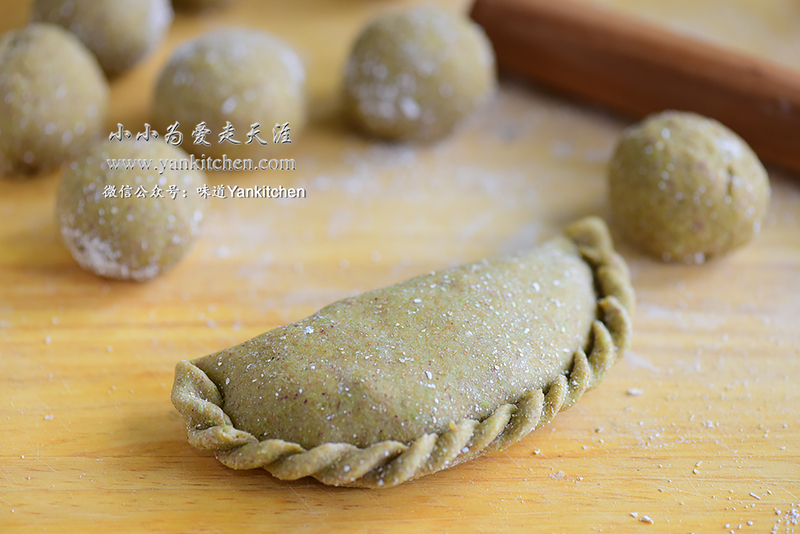 People make them into these beautiful half moon shape dumplings with pretty wrinkles seal the edges. Every family has its own unique traditional way to make them. And probably everyone considers the best ones are made in their grandma’s kitchen. I make them at home all the time too. 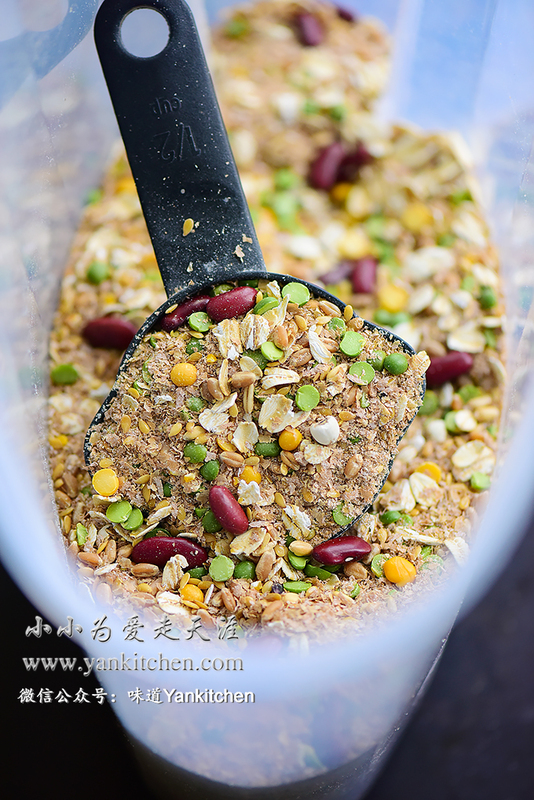 But this time I substituted regular with freshly ground multigrain flour to make a better healthier version. Like a lot of people, I too, used to hold this biased opinion against multigrain food; thinking they are all rough and tough and taste like cardboard. However, after I start to make my own multigrain food at home, I realize how wrong I was before. 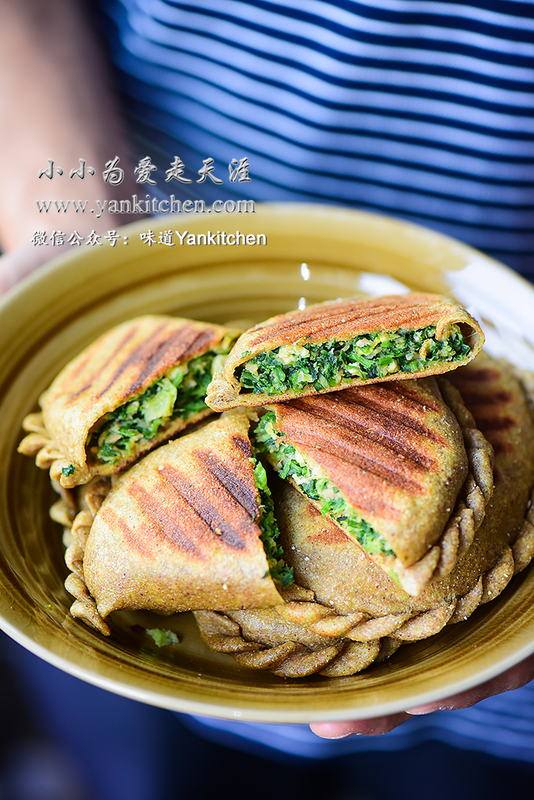 Multigrain food can be tasty and healthy at the same time! 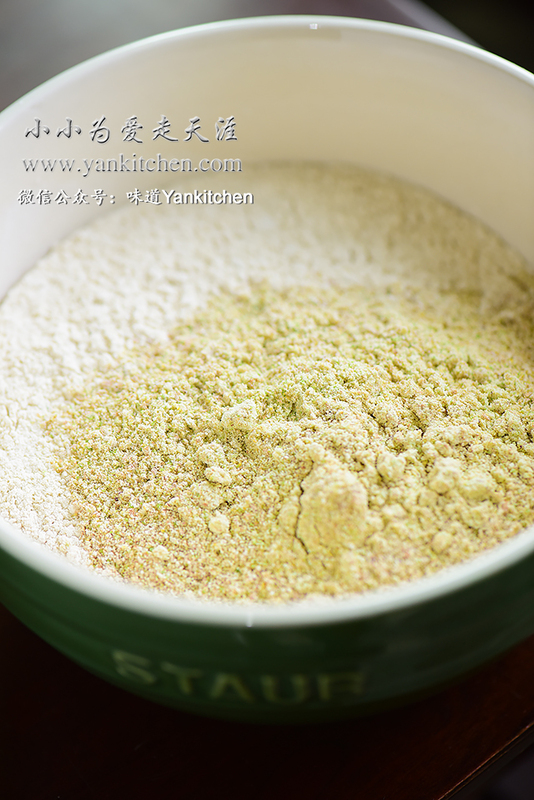 Add 200g multigrain flour and gluten flour to a large bowl. Add water, salt and oil. Combine everything together in the bowl and knead into a smooth ball of dough. I use ground oat for dusting. And of course, ground oat is made by vitamix too. Cover with plastic wrap. Let it rest for 10 to 20 minutes. I usually buy large piece of pork shoulder and grind them into ground pork, and then divide and freeze ground pork for later use. 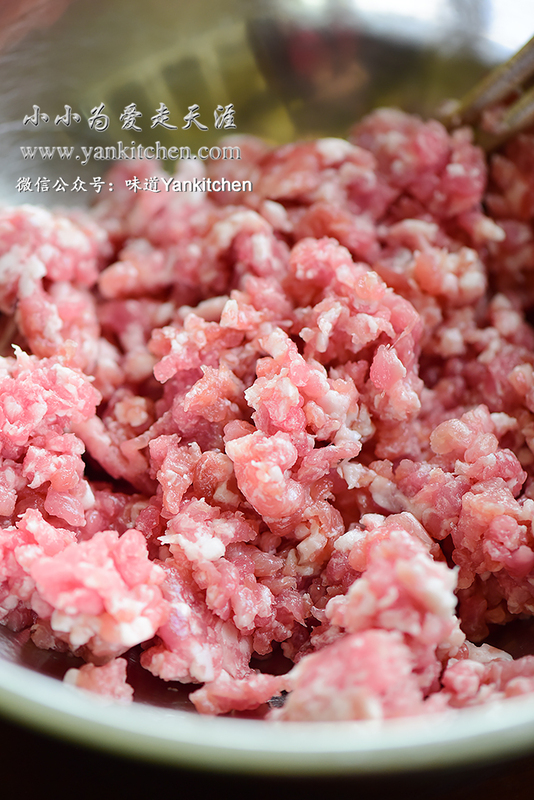 It takes longer than buying ground pork from grocery but the taste and flavor is so much better. Add rice cooking wine, soy sauce, ground ginger, ground white peppercorn, oyster sauce, sesame oil and corn starch. Whisk clock-wise with a pair of chopsticks. It might be considered weed here in America. However, shepherd’s purse is sold like any other vegetables. It is really a seasonal delicacy only found in early spring time. Asian people love it for its sweet, delicate, refreshing earthy flavors. Make scrambled eggs with a wok. Add to the pork mixture along with chopped shepherd’s purse. Mix until well combined. Season with salt to taste. Equally divide multigrain dough into 12 pieces. I grind oat flour with Vitamix too. And use it to dust the wooden board and the dough. With a small rolling pin, flat out each piece as thin as possible. Add 2 to 3 tablespoons of pork filling. Repeat the process until all is done. Preheat a double sided electric griddle skillet. Add a couple teaspoons vegetable oil and then 4 to 5 pieces of calzones. Bake for 3 to 5 minutes. You will know they are ready when the tops are golden brown. Pipping hot off the skillet, yum!